The Miss Thousand Islands pageant is not only the longest consecutively run pageant in New York, but also the first pageant of the local season. The early pageant gives a full year of preparation for the state pageant and, more importantly, it allows titleholders to have nearly a full year as a local titleholder before potentially earning another full year as Miss New York. Allison Carlos served an amazing reign as Miss Thousand Islands 2015. She spent her year advocating for youth in the foster care system, serving both as a respite and long term foster parent while balancing work, school, community service, and preparation. Allison was a Top 10 Finalist at Miss New York. The Miss Thousand Islands family, very close to the Miss Central New York directors, extended open arms to Katelynn Smith, Miss CNY 2015 to attend the event as a special guest. 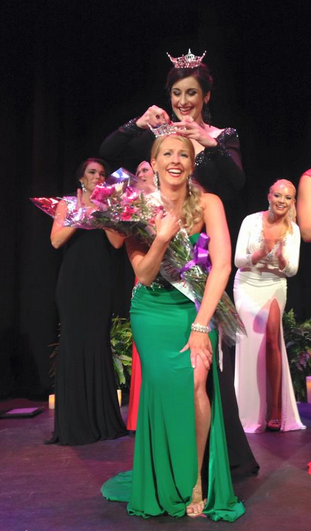 Unfortunately, the Miss CNY Organization made the difficult decision to dissolve following the 2015 year. This would, inadvertently, take away Katelynn’s option to crown a new successor and any farewell. Thankfully, the Miss TI Golden Sisterhood welcomed Katelynn to the pageant, and allowed her to wrap up her final year with style and elegance. This year, twelve beautiful ladies journeyed upstate to the Clayton Opera House to compete in the 51st Miss Thousand Islands Pageant. The contestant pool consisted of a balanced assortment of first timer locals and veterans, with talents ranging from vocalists and monologues to piano and dancers. Congratulations Kristina Blackstock! Welcome to the Golden Sisterhood (Miss Thousand Islands Local Legacy) and Miss New York Class of 2016!